Like any other Apple device, iPod can get stuck in Recovery mode when you trying to update your iOS or whichever reason you were trying to do with your iPod. 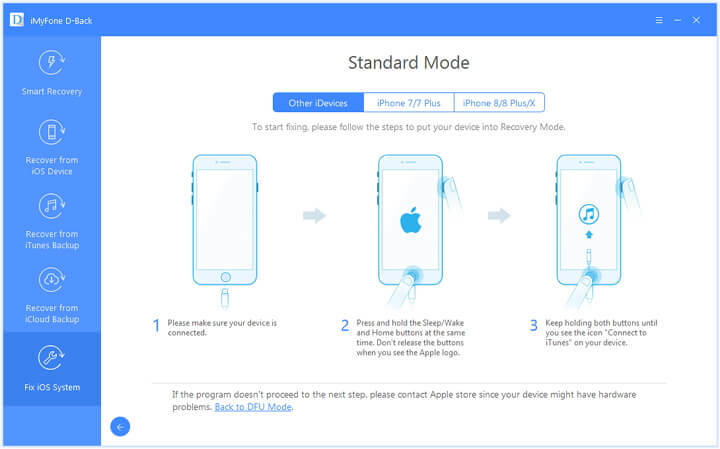 In this article, we will introduce to you the safest way to kick your iPod out of recovery mode using a software without erasing data. To get your iPod of recovery mode, you need a software that designed with Fix iOS to Normal feature. 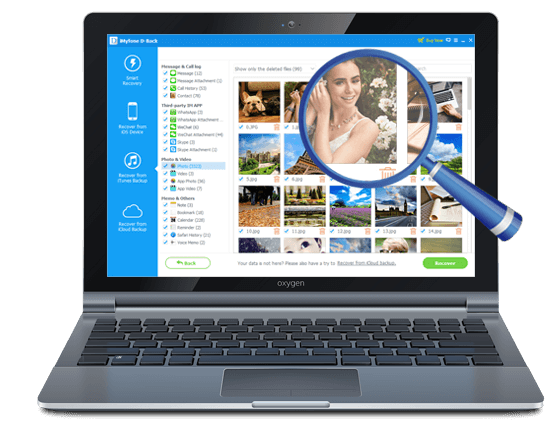 There are many softwares out in the market that has been equipped with this feature, one of them being iMyfone D-Back iOS data recovery Win or iOS data recovery Mac . 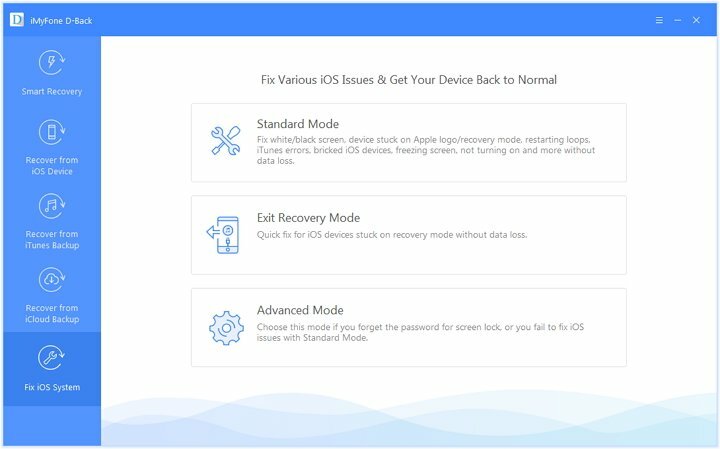 With iMyfone D-Back “Fix iOS system” feature you will not only get your iPod out of recovery mode but also iPhone and iPad. Furthermore, this feature will get your iOS device out of Apple logo, White screen and black screen. It supports iPhone SE, iPhone 6 series, iPhone 5 series iPhone 4 series, iPad Mini, iPad Mini 3, iPad with Retina Display, iPad Air, iPod touch 4 and iPod touch 5 and others. Once you download and install iMyfone D-Back on your computer follow these baby steps. On the home window move to the bottom of the left panel and click on “Fix iOS system. The program will prompt connect your iPod to the program. Use a USB cable to link your iPod to the PC and then click “Start” on the program window. 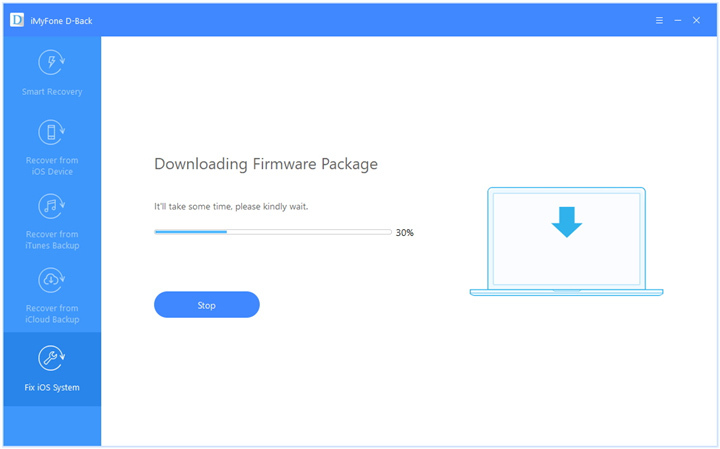 In this step, it is vital to download and update OS firmware for your iPod. The program then displays an OS firmware that suits your iDevice. Go to “Download’ button at the far right to download it. After the firmware is downloaded, the program will immediately repair your iPod. You will be able to see the progress on the screen although it won’t last for long. Congrats! Your iPod is now out of recovery mode. It will then restart and you go ahead and use it. To sum up, iMyfone D-Back iOS data recovery Win or iOS data recovery Mac is a useful that can get your iPod, iPad and iPhone out of recovery mode. Best Way to Transfer Music from Computer to iPod Touch! iPod Touch Won’t Sync? Here Are the Solutions!